Why would I need self storage in Glendale Heights, IL? There are a variety of reasons why you might need self-storage in Glendale Heights, IL. How much is a storage unit in Glendale Heights, IL? The cheapest storage unit in Glendale Heights, IL is $25.00 per month. What size storage units do you have available in Glendale Heights, IL? In Glendale Heights, IL we have sizes that range from 5'x5' to 10'x25' to suit your storage needs. How much is it for a 5'x5' storage unit in Glendale Heights, IL? The cheapest 5'x5' storage unit in Glendale Heights, IL is $25.00 per month. Located just 30 miles west of Chicago, Glendale Heights is a mid-size village located in DuPage County. It's best known for its ethnically diverse population, specifically its thriving Filipino and Asian Indian communities. Glendale Heights was a mostly rural area until the late 1950s. 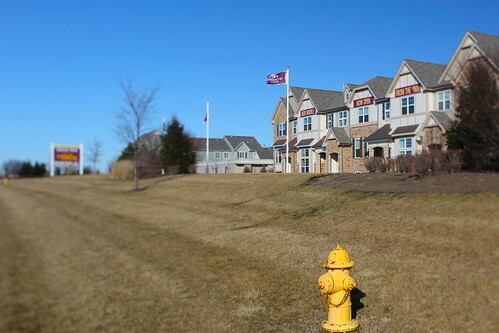 Subdivision creation and housing construction led to the village's incorporation in 1959, and planned growth allowed the village to expand alongside neighboring villages Glen Ellyn and Bloomingdale. The Glendale Heights of today is a largely residential community, considered a bustling suburb of Chicago. The village prides itself on modern amenities and a strong commercial sector. Along with single-family homes, Glendale Heights has several apartment and condominium complexes. The village also boasts numerous retail centers and recreational areas. In addition to its many attractions, Glendale Heights provides quick access to Chicago via commuter rail and interstate. Glendale Heights also hosts a number of local events, many of which attract a large number of visitors from the surrounding communities. The Glendale Heights Fest takes place every summer and is one of the most popular events in Chicago's western suburbs. This week-long festival includes fair rides, carnival games, food trucks and a large fireworks show. The village's Charity Golf Classic is another of its well-known events, raising hundreds of thousands of dollars for a variety of charities. Historic home tours, community garage sales and health and safety fairs are just a few of the other events you can enjoy in Glendale Heights. Glendale Heights and the surrounding Chicago metro area welcome businesses in a wide range of industries. The largest industries in this area include education and health services, trade and transportation, and government. If you're going to be joining the Glendale Heights job market, you may want to start your search in its fastest-growing industries, which include construction, education and health services, and leisure and hospitality. Glendale Heights schools fall under the jurisdiction of four different school districts: Marquardt School District 15, Queen Bee School District 16, Glen Ellyn School District 41 and Glenbard School District 87. Most private schools in the village are faith-based, but there are other options in nearby cities. Utilities: Commonwealth Edison serves the residents of Glendale Heights. Your water and sewer services will be billed and administered by the city. Transportation: The Pace Bus system is the primary form of public transportation in Glendale Heights. You can typically find affordable homes scattered throughout the city, especially near city parks like Camera Park, Glendale Lakes Golf Course and Harold A. Reskin Park. If you're looking for larger home with more land, focus your search in the village's northern reaches. Our lowest priced units in Glendale Heights, IL average $25.00 per month. 38 people have reserved units in Glendale Heights, IL in the past 30 days. There is 1 location within Glendale Heights, IL's city limits. There is 1 location in Glendale Heights, IL that offers AC and Heating features.